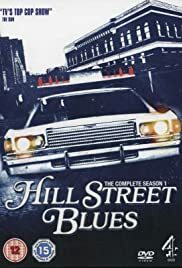 How many episodes of Hill Street Blues have you seen? Fay Furillo: [to Capt. Furillo] Well, excuse me, mister! Q: In which city did the show take place? When Hill Street Blues was being made, here in the UK it didn't get networked. Instead, my local commercial station (Central) picked it up and showed it on a Friday night at 11pm. My opinion of the show can be judged from the fact that I used to get home early from the pub to watch it. It might be a cliche, but this really was a ground-breaking series. Compare it to its forbears, series like Kojak and Starsky & Hutch. Instead of there being three or four central characters, and a single plotline per episode, HSB had a couple of dozen characters and five or six plotlines, each interwoven and often continuing from week to week. It brought an extra level of realism, too. In previous series, if cops got into a fist fight then they'd remain standing, although maybe with a bloody mouth. If someone got shot, odds on it was the bad guy, with the cops not receiving a scratch. HSB changed all that. Fights looked real; policemen got shot; the bad guys often got away. And it went beyond that, including police corruption; politics interfering with the job; the way the police reached compromise deals with people like Jesus Martinez, even though he was a gang leader and notionally a 'bad guy'. You cared about the characters, too. When Joe Coffey got shot, when Esterhaus died, any of a dozen others, they felt like they meant something. This wasn't a show that you watched, then forgot about. 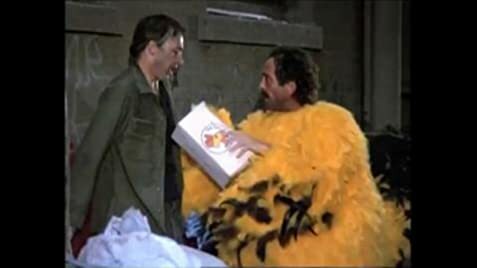 Stephen Bochco went on to series like LA Law, NYPD Blue, Murder One and ER, all of which owe a lot to the style of HSB. It really did break the mould of TV drama; its influence is still clear, even today.